I went to make our very favorite meal, Italian Stuffed Shells. Alas, no large shell pasta was in the pantry. What was I to do? Aha! Make it anyway with spaghetti noodles. I already had the noodles cooked – leftover from spaghetti a couple nights ago. So I mixed up the stuffing, poured in a can of sauce, added the cooked noodles. I tucked it in the oven. 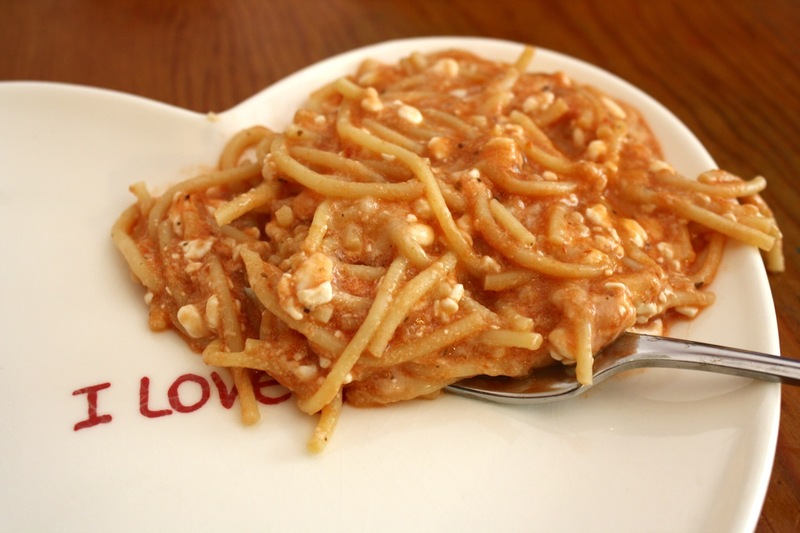 Frugal, favorite ingredient spaghetti feeds a crowd! Feel free to sneak in a little spinach, a scoop of sour cream or whatever your favorite spaghetti toppings are. This is truly a made up recipe, so the following ingredients are approximate. 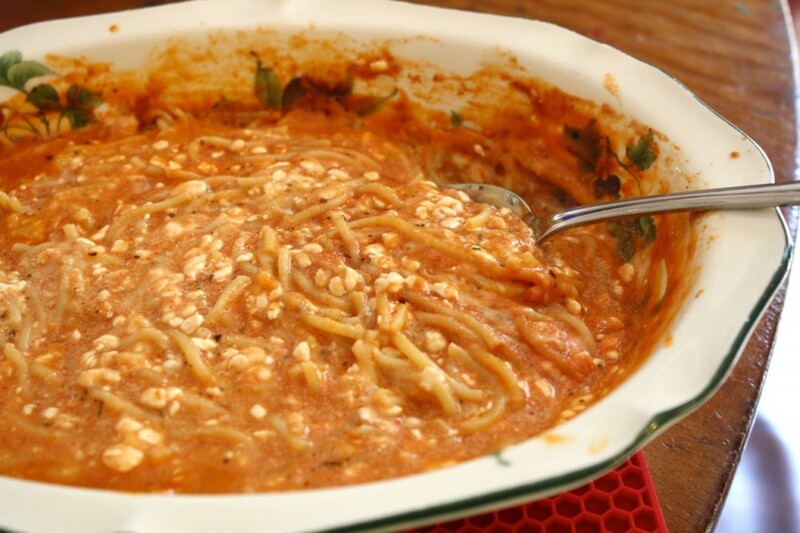 As long as your sauce keeps your noodles moist, you can’t go wrong. 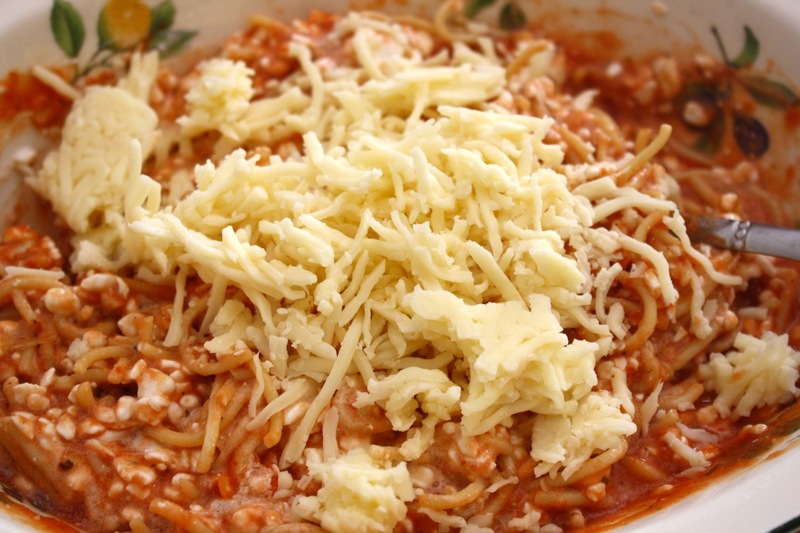 Mix all ingredients together in a casserole dish. Bake at 350 for approximately 20 minutes or until bubbly around the edges. Serve topped with a little more cheese, if you like. This is an easy and delicious way to save money. I like the approximate ingredients and amounts. It is exactly the way I like to cook for my family and it really helps our monthly budget.